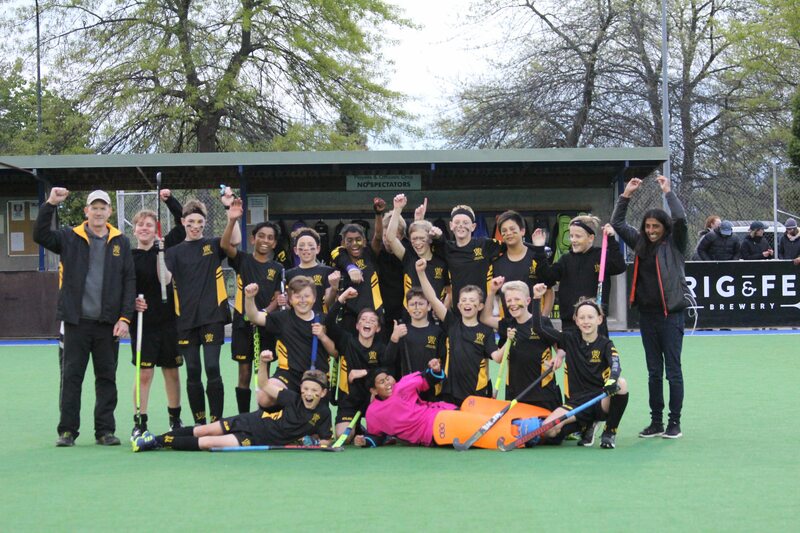 Wellington Development played some great hockey in pool play, fighting hard right to the final whistle in every game and really testing their opposition. The half time scores of 0-0, 0-1, 0-1, 0-1, & 0-2 indicating just how close their games were. They faced Otago in their cross-over clash on Thursday afternoon. Otago’s 20th minute goal was the only scoring in the first half and they added to this four minutes after the break. Keenan Ranchhod opened Wellington’s account with ten minutes to play but they were unable to grab the equaliser despite several close attempts and went down 1-2. Friday morning started with a hard-earned 3-2 win over Wanganui. Their opponents scored early but Jared Woolcott equalised before half-time. Harry Jennings and captain Callum Stevens both scored early in the second spell, and although Wanganui were able to close the gap by one, Wellington ended deserved winners. Their final game was against Thames Valley on Friday evening to decide 21st and 22nd placings. It was another close game with no goals in normal time, despite several close shaves . A ‘golden goal’ to Harry Jennings in the fourth minute of extra time meant Wellington finished the tournament on a high note. Congratulations go to all the players for their great efforts, for showing improvement through the week and for giving their all to every game. Congratulations Coach Gavin Naftel; and Manager Tara Ranchhod who so ably looked after the team. Thanks to the parent helpers who were all such an integral part of the teams success. Wellington Development had only been invited to the Hatch Cup at short notice and ended up proving themselves to be on a par with most other teams and very deserving of inclusion in the Tournament. Callum Stevens as Captain led the team well with Keenan Ranchhod and Harry Jennings leading the goal-scorers with two each. Overall it has been a really positive experience for all the players involved with great outcomes and great development shown.